As I've mentioned before, the new work hours are putting some major hurt on my creativity. Sliding into bed at 645 in the morning (or later) just runs roughshod over any kind of real life scheduling. Which means I'm looking for inspiration, and +Dyson Logos has inspiration in spades. On the chance you don't already know, Dyson has a Patreon campaign where, if enough money is raised each month, the maps that he draws and posts on his blog are released for free to be used personally or commercially. 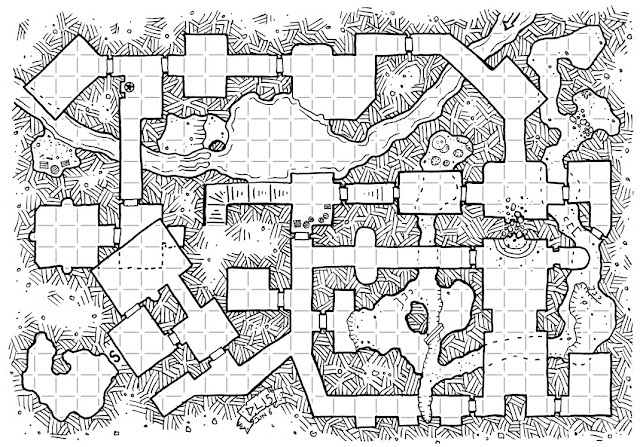 Here's the link to the free maps. Heck, you don't even need to be a backer to benefit from this but the more backers the more maps potentially released into the gaming wilds. I figure the above would make for a nice city to kick off a S&W campaign when I finally get back behind the screen next March. 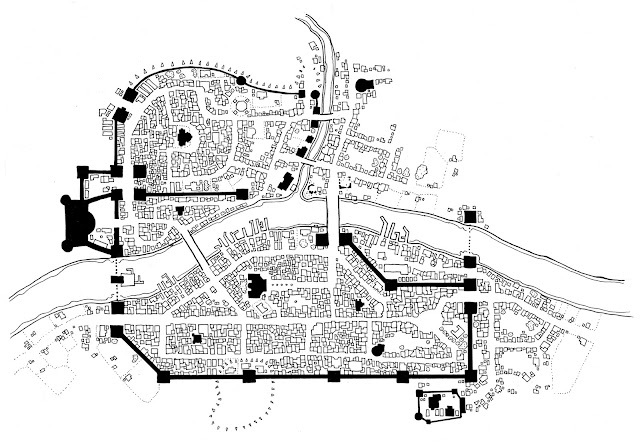 This would be just the right size to kick off a dungeon, and the river might even lead the players elsewhere. We just used one of Dyson's cc maps for an adventure.